← An Tasglann agus na sgoiltean agus cuideachadh na meadhanan shòisealta! 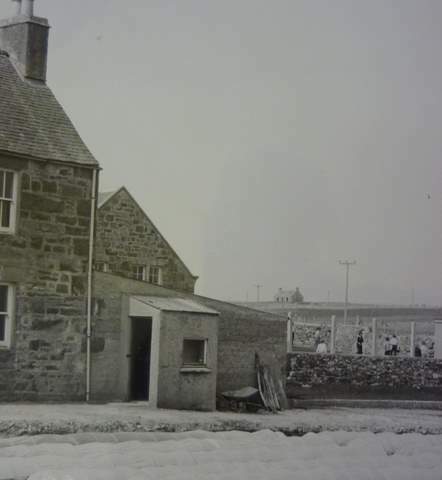 This photo is from Sgoil Chrois in 1978, and features some of the miniature poly tunnels of Co-Chomunn Nis, a community co-operative that existed in Ness from the 1970s-1980s. The co-operative had a shop where they sold local produce, such as the produce grown above, amongst other items. Our training day in Comunn Eachdraidh Nis on Thursday 15 December involved the cataloguing of the records of Co-chomunn Nis, which included material such as the shareholders details and photographs like the ones above. We held the training in the Old Sgoil Chrois building, which is of course the new home of Comunn Eachdraidh Nis. We were taken aback by how much work had been done since we helped them with their big move in November, they really have been working hard! We really enjoyed our training day with them and look forward to working with them again soon. This entry was posted in Uncategorized and tagged agriculture, Co-chomunn, Comunn Eachdraidh Nis, Training. Bookmark the permalink.